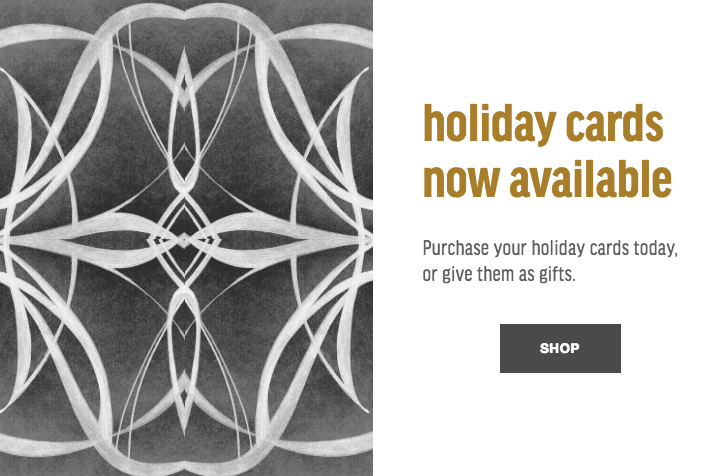 Get your holiday cards today! An evening of selling, shopping, sips and snacks. Crafters and designers show off their talents by putting their handmade products on display for selling to friends, family and fellow industry members. A great event for networking and shopping. The Arts of Courage Project, ACP, will be selling their Cards of Courage, including premium cards, prints, decorative paper, gift paper, textiles and canvas art that showcase Jorie’s original illustrations, paintings and photography. ACP will donate 25% of net sales to Dr. Susan Love Research Foundation, supporting and funding research and quality of living programs for those affected by metastatic breast cancer. SPACE 519 has generously agreed to host a Cards of Courage trunk show and fundraiser at their brand new flagship store. Please join us for this special event on Thursday, June 7 from 5-7PM, where you may purchase and take home your own set of Cards of Courage. You may also order your very own custom set on site. 25% of net sales will be donated to Dr. Susan Love Research Foundation, a non profit entity challenging the status quo to achieve a future without breast cancer and improve the lives of people impacted by it now through education and advocacy. Artist, ACP founder, and cancer survivor Jorie Gillis will be on hand to share the story behind her work. Light fare and drinks will be provided by SPACE 519. Support a worthy cause, find beautiful cards, and shop SPACE 519’s assortment of women’s apparel and accessories, men’s accessories, green apothecary, inspired home goods, as well as unique books and gifts. Hand-written cards are always well-received. With Cards of Courage, there's now a way to make both someone's day, while also contributing to a worthy cause. Printed on premium environmentally-friendly stock, these blank 5"x5" cards feature Jorie's original illustrations. Each card design is named and dedicated to the many inspirational women in her life. Via The Arts of Courage Project, ACP, a percentage* of the proceeds from their sales are donated to Dr. Susan Love Research Foundation. Pass on the love and get your Cards of Courage today! Read Jorie's article in the March 2018 Fete Lifestyle Magazine, FLM, issue about finding beauty during difficult times.